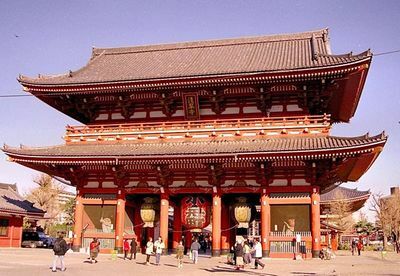 The Asakusa Kannon Temple is the oldest temple in Tokyo. It is one of the oldest and most important Buddhist temples in Tokyo. Its foundation in 628 is based on the legend that fishermen fished a golden Bodhisattva Kannon (goddess of mercy) out of the nearby Sumida River. Find more Asakusa Kannon Temple images in the gallery of Photorena.